ISIS – which stands for the Islamic State in Iraq and Syria – lost most of the territory it controlled in those countries this year, making a mockery of its claim to be a "state." The liberation of Mosul in Iraq and Raqqa in Syria, with the help of U.S. military advisers and air bombardments, sent ISIS fighters fleeing like rats from a sinking ship. The physical caliphate founded by terrorist leader Abu Bakr al Baghdadi is no more. And the loss of territory by the ISIS this year was coupled with the loss of almost all of the financing that paid for its operations. According to a report I co-authored for the Investigative Project on Terrorism, the elimination of the physical caliphate means that the threat posed by radical Islamic terrorism will change drastically. Instead of operating from a geographic base where it could terrorize local populations, export terrorism to neighboring countries and plan global attacks, ISIS is turning into a virtual caliphate. 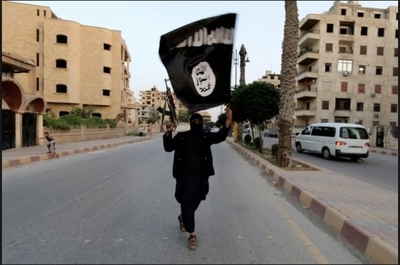 This virtual caliphate is growing and is attempting to inspire terrorism through cyberspace. Radical Islamic groups like ISIS and Al Qaeda will start to think of new ways to carry out jihad and continue their war. This strategy is not unprecedented. In the past 35 years we have witnessed significant changes in radical Islamic movements, beginning with the returning (foreign) mujahedeen who fought the Soviets in Afghanistan; the birth of Al Qaeda; the formation of ISIS following the death of terrorist leader Abu Musab al-Zarqawi; and the decimation of Zarqawi's group, Al Qaeda in Iraq, by U.S. coalition forces in Iraq. What will this new phase of the war against radical Islamic terrorism look like? I believe that the defeat of the ISIS-established caliphate means the number of people around the world killed by terrorists will decrease significantly in the year ahead. Research shows that when terrorism is directly confronted there is a significant decline in the number of deaths it causes. Conversely, when terrorism is ignored or appeased, increased numbers of innocent men, women and children die. Countries like Iraq, Syria and Libya all experienced a rapid growth in fatalities as ISIS gained ground, while the Obama administration treated it like a "JV team," as President Obama once called the terrorist group dismissively. Now that ISIS has been decimated, the countries comprising the physical caliphate should expect to see the results in the number of deaths prevented. Afghanistan, on the other hand, will grow to be the deadliest country as a result of radical Islamic terrorism. After 16 years of conflict, there is still no proven effective strategy to confront, contain and defeat radical Islamic terror in Afghanistan. The nature of its Afghanistan's mountainous terrain and a weak, ineffective central government continues to provide an environment where terrorism flourishes. Afghanistan will become the focal point of the war on terrorism. In the coming year, countries with weak central governments and significant Muslim populations will become a primary focus for radical Islamic expansion. Areas that fit those criteria include Burkina Faso, Chad, Mali, Mauritania, Niger, Algeria, Morocco, Tunisia, and the Western Sahara in Africa. In Southeast Asia, Indonesia and the Philippines are on the terrorist target list. On the day after Thanksgiving, over 300 people were brutally killed in a Sufi mosque attack in the northern Sinai region of Egypt when radical Islamists bombed the mosque and shot at survivors trying to flee. Egypt has seen similar attacks earlier this year. These nations are where radical Islamic groups will attempt to establish new footholds. Finally, radical Islam will continue its quest for jihad in the West. While there has been a slight uptick in Islamist attacks in the West, these attacks still amount to less than 1 percent of the total global fatality numbers. However small the successes of radical Islamist attacks carried out in the West, they are of great propaganda and motivational value. This is evidenced by the latest terrorist attack in New York City. Though the number of civilians killed Oct. 31 was relatively small – eight people – the ability of an ISIS sympathizer to strike at the heart of the city 16 years after the Sept. 11, 2001 terrorist attacks should not be discounted. The large influx of entering refugees into Europe may also means Europe becomes more fertile ground for radical Islamist attacks. The failure of the European Union countries to come to a consensus on how to treat returning ISIS fighters exponentially increases this threat. With the collapse of the physical caliphate, these groups will find a new way to motivate their followers. All in all, the threat from radical Islam is evolving. Rather than controlling large swaths of land, terrorist groups will find innovative ways to inflict as much damage and kill as many people as possible in areas around the globe. Fatality rates will notably increase in parts of Africa, South and Southeast Asia, and will also increase throughout the West. But global fatality numbers as a whole will start to decline. The world should celebrate the collapse of the terror-driven Caliphate. But the ideology that drove and continues to drive terrorist killers to commit all kinds of atrocities in service of their perverted brand of Islam is still around. We must be prepared to do battle in cyberspace with the virtual Caliphate. It must not be underestimated.